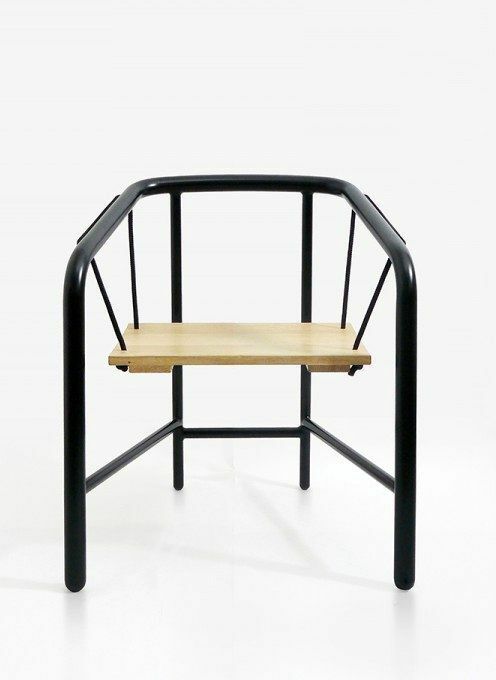 Portique Armchair armchair of French designerFlorent Courier (Florent Coirier) - a non-standard piece of furniture, inspired by garden swings. But not only the swing had its influence. The designer comes from a large port city of Nantes. 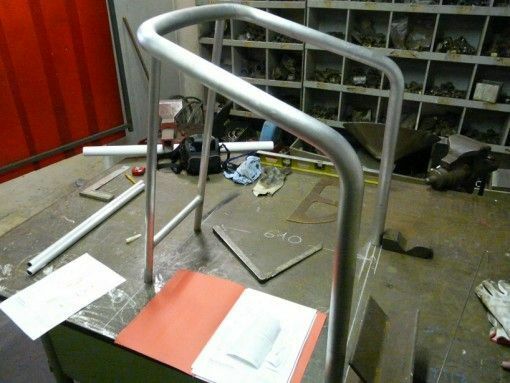 As a child, Florent liked to watch the loading and unloading of ships using cranes, and some of these memories also formed the basis for the concept of the chair. 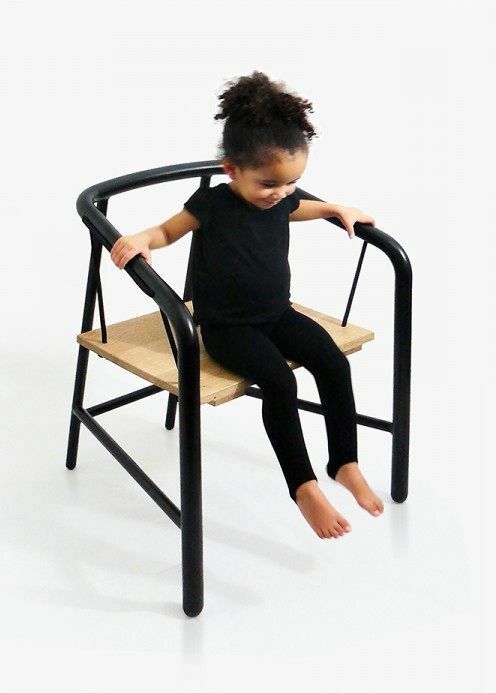 Moreover, the prototype of this suspended seat was made by the designer from materials often used in shipbuilding. So the resulting swing armchair combines sea theme and garden decoration. 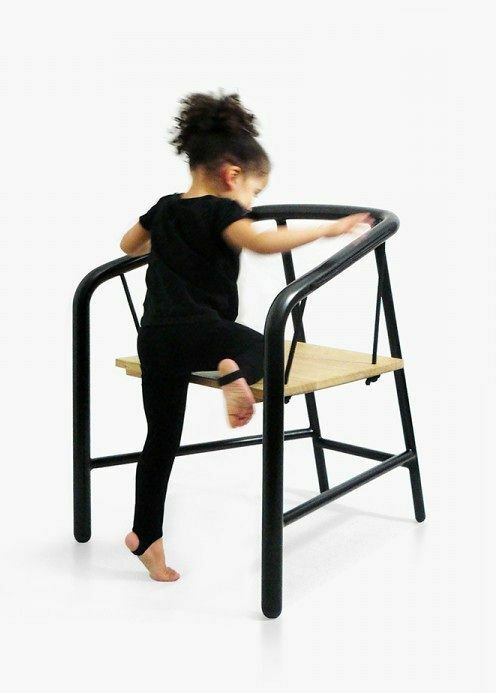 The chair frame is made of lightweight and durableAluminum pipes, painted in black. The traditional rope is replaced by a marine rope made of polyester and polyamide, more durable and wear-resistant. The wooden seat is carved from a board of a noble tree - an oak tree. 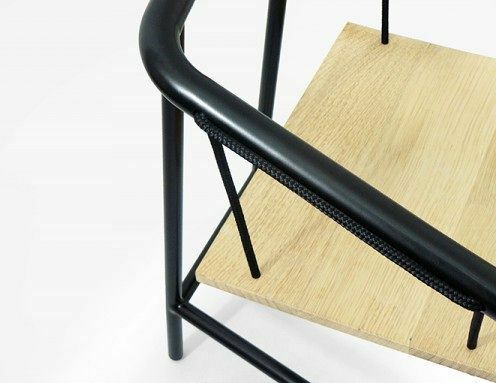 The result may be mistaken from afarAn ordinary chair, because the black ropes create the illusion of metal rods firmly holding the wooden seat. But - here's a surprise! - on the chair you can swing like on a swing! Of course, the scope is very small, but for children it will bring great pleasure, and adults will surely remember their childhood. 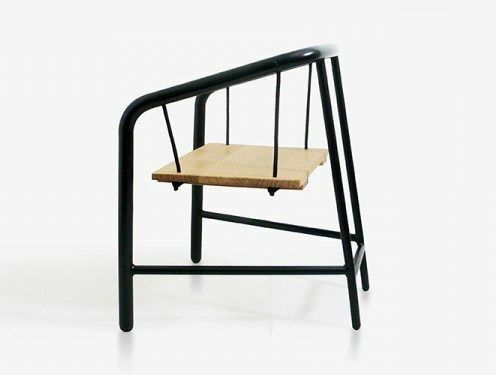 Especially such a swing chair is suitable for those who like to swing on a chair. And most importantly - this idea is fairly easy to use on your own, making your own hands like a swing chair.